In recent years, there has been an explosion of interest in the lives of England's medieval and early modern queens. Popular historians in particular have become fascinated by the extraordinary lives of these women. The majority of attention has focused on the late Middle Ages and the Tudor era. Countless books are published every year detailing the lives of these magnetic, captivating women. What is to account for these trends? What makes one woman particularly fascinating to biographers, at any point in time? Where does the desire to recover her history - 'herstory', as it has been termed - come from? Why are we so fascinated by these women, and why are readers lapping up biographies of medieval queens like there's no tomorrow? The simple answer is because their lives are interesting in and of themselves. The more complex answer is because their lives were forgotten for centuries, swept away as if they had never existed. These women, even queens, were confined to the footnotes of history, dismissed in a sentence and remembered only if they contributed to their husband's achievements. If they were not forgotten, they were misrepresented. They were slandered, their names dragged through the mud. Consider the infamous tale of Eleanor of Aquitaine, in a fit of jealous rage, murdering her beautiful rival Rosamund Clifford by poison. Or the story of Elizabeth Wydeville and her mother greedily extorting their rights to queen's gold. Or the legend of Isabella of Angouleme living in open adultery with her lovers, causing her vicious husband King John to brutally murder them in revolting fashion. If these women were not condemned, they were sanctified in hagiographical works. They were celebrated as passive beings who caused no trouble, satisfying the whims of their husbands and living quietly and gently. Jane Seymour was idealised as a pious, motherly wife who provided Henry VIII with his heart's desire. Anne of Bohemia is remembered only for her gracious acts of intercession. For centuries, Katherine of Aragon was viewed as nothing short of a saint, the very embodiment of virtuous womanhood. In more recent times, we as historians have become aware of how simplistic and misleading these characterisations are. We recognise that these women were complex beings; they were human. They were neither saints nor sinners, neither whores nor angels. We seek to uncover their stories respectfully, admiring their achievements, celebrating their lives and respecting their decisions. In short, historians are taking advantage of developments in the study of history to present these women more truthfully than ever before. As a biographer of Katherine Howard, with a keen interest in the lives of medieval and early modern women, I eagerly await new studies. Having spent a number of years researching Katherine (and I continue to hope to devote more time to her life), I anticipate with pleasure upcoming biographies of her by Gareth Russell and Josephine Wilkinson. Katherine was, for centuries, the most neglected of Henry VIII's queens. Historians were not particularly interested in her. Lacey Baldwin Smith's biography of Katherine, published in 1961, remained the standard work for decades. There have since been only three published biographies of Katherine: Joanna Denny's of 2005; David Loades' of 2012; and my own. I am not sure why historians are suddenly interested in Katherine. Perhaps they are more aware than ever of how inadequate most of the studies about her have been. Perhaps, in the light of the rehabilitation of Anne Boleyn's reputation, and the publication of impressive studies detailing the considerable achievements of Katherine of Aragon and Katherine Parr, it has been acknowledged that Katherine Howard deserves to be better known and celebrated for her own achievements. New found interest in her is surely to be welcomed. Yet other women deserve the attention of historians, for they remain forgotten. If they are remembered, it is mostly negatively. Isabella of Angouleme, Isabella of France, and Margaret of Anjou are three powerful, well known women who continue to be misrepresented and slandered, their lives distorted. 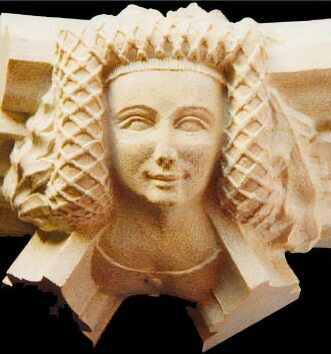 Jacquetta of Luxembourg, mother of Queen Elizabeth Wydeville, was an acknowledged woman in her own lifetime, and yet there has been no biography of her. Philippa of Hainault, Joan of Navarre and Catherine de Valois are queens of England that have still not acquired biographies in their own right. There has been exceptionally little attention given to Isabel Neville, elder sister of Queen Anne. Nor has there been for other highborn women in England who were not queens of England, but were nonetheless important. Alice Perrers, Katherine Swynford and Elizabeth Shore are women who deserve to be re-examined. The expansion of 'herstories' is an immensely positive achievement. Let us hope the field continues to expand and develop. We need to learn more about these incredible women. We should endeavour to reinterpret their lives and re-examine the myths about them. Celebrating their achievements and respecting their experiences is essential to uncovering the full story of English history. The relationship between King Edward II and his wife Isabella of France is almost always depicted in negative terms. In Derek Jarman's film Edward II (1991), Tilda Swinton offers a sexually frustrated, ambitious Isabella who turns against her ineffectual husband and usurps his throne. In Mel Gibson's Braveheart (1995), Isabella enjoys a romantic affair with the Scottish landowner and hero William Wallace, perhaps because she experiences frustration and dismay with her husband Edward. The film even suggests that Wallace is the father of her son Prince Edward, despite the fact that Wallace died in 1305, three years before Isabella arrived in England and seven years before the birth of the prince. Biographers of Isabella have tended to characterise the queen as a passive victim of her cruel and merciless husband. She apparently was humiliated, hurt and shamed by his homosexual relationships. She was neglected at court and was mistreated by her husband's courtiers. Finally, her husband seized her children from her and took hold of all of her estates, lands and possessions. He probably allowed his lover Hugh Despenser to violate her. The long-suffering Isabella, who by now had had enough, departed for France alongside her lover Roger Mortimer and arrived back in England with foreign aid. The citizens of England, who loathed their king as much as she did, willingly rallied to her side, and together they marched through the country. Edward was removed from the throne and the popular Isabella achieved a resounding victory. 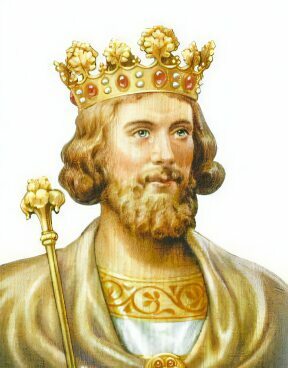 Her son Edward was crowned Edward III and Isabella was celebrated forever after as a liberator. However, the real story is not as simple as this version would like to make out. This version reduces Edward and Isabella to simplistic and unconvincing cardboard caricatures: Edward as a sexually depraved bully and Isabella as a passive, humiliated victim. This does no justice to the real people. King Edward and his queen actually enjoyed a close, supportive relationship for most of their lives together. They had four children with one another, and frequently departed for France on peace missions, where contemporaries, including Geoffrey of Paris in 1313, noted their love and respect for one another. Isabella sought her husband's support and assistance in her household governance, which he readily gave. Edward was so impressed with his young wife's success in the sphere of her household that he awarded her with possession of the great seal on two occasions, in 1319 and 1321, which greatly honoured the queen and confirmed his trust in her abilities. Isabella was happy enough to approach Edward when she sought to intercede on behalf of individuals. The administrative documents at the National Archives are full of references to her seeking pardons from the king for those whom she felt to be oppressed and in need of assistance. Edward made sure his wife enjoyed a splendid household and she was afforded every dignity as queen. It is actually uncertain, contrary to popular belief, how she felt about Piers Gaveston, her husband's favourite and, possibly, lover, but it does not seem her relations with Gaveston were as hostile as is often believed. She assisted him financially in 1311 before his exile from England, and she sheltered some of his supporters in her household. There is no evidence of how Isabella personally felt about him. The relationship between the royal couple did become more strained in the mid-1320s, probably because of Hugh Despenser's malign influence. He seems to have begun a concerted campaign of poisoning the king's mind against his wife, perhaps because he was attempting to replace her in Edward's counsels. In September 1324, the king seized all of Isabella's estates and lands. Yet this does not mean that Isabella gradually came to hate and despise her husband. On the contrary, when she was abroad a year or so later, she continually reiterated her desire to return to Edward, because she loved him and wished to obey his wishes. However, she felt that she could not do so on account of the enmity of Despenser and his father. She believed that her very life would be endangered if she returned to the country. Isabella also sought to protect her son Prince Edward's inheritance, who was with her in France: rumours were circulating at this point that he would be disinherited and not allowed to succeed to the throne on account of his refusal to return to England. The evidence credibly suggests that Isabella loved her husband and longed to return to him, but could not do so on account of the malicious Despensers, who enjoyed the king's influence and protection. Edward came to view his wife as disobedient and treacherous, for he was unable to appreciate the danger she faced. Their marriage fell into ruin and they were never able to experience the happiness which they had enjoyed in each other's company for such a long period. Whether Edward was murdered in the autumn of 1327, or whether he died at a later date as an obscure pilgrim in Europe, Isabella certainly continued to honour his memory and, when she died in 1358, she chose to be buried with his heart. The relationship between Edward and Isabella was not one of abuse, hatred and murder. It was, for fifteen years, a loving, stable and supportive union. The royal couple were frequently in one another's company and were parents to four children. Contemporaries commented on their love for one another. Yet the malign influence of the Despensers and Edward's growing tyranny destroyed their once happy marriage.